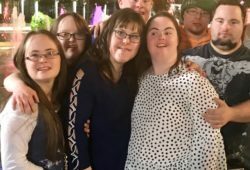 Fostering understanding among those who work with an employee with Down syndrome. The Canadian Down Syndrome Society works tirelessly to fulfill our mission of empowering Canadians with Down Syndrome, raising awareness, and providing support and information throughout all life stages. 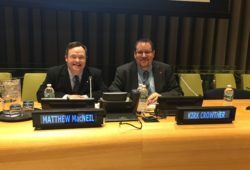 Inclusive employment; when people with disabilities are given fair and equitable access to decent, meaningful work, fair pay and working conditions, and opportunities for social inclusion; is an important mandate for the Canadian Down Syndrome Society. When people with Down syndrome are included in all aspects of society, including the work force, society thrives. There is also strong evidence that when people with disabilities are employed and supported in their work, business thrives. CDSS, through the National Inclusive Employment Initiative, seeks to work with and support Canadian companies to hire highly marginalized workers – adults with developmental disabilities. The project is focused on education, relationship-building between local service providers and employers, education, human resource policy changes within companies, and disseminating “how-to” resources for employers considering or offering supported employment, as well as self-advocates (adults with developmental disabilities) seeking employment. Do you work with someone with Down syndrome? For more information about working with people with Down syndrome, or how to approach supported employment or inclusive employment, see CDSS positioning on Supported Employment.